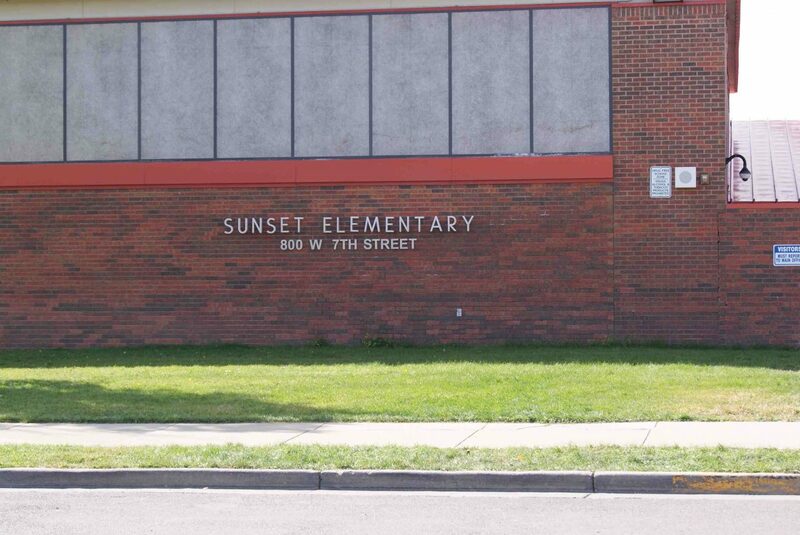 Sunset Elementary School, the only school in the Moffat County School District with a priority improvement rating from the state, hosted a School Accountability Committee meeting Tuesday night. Principal Zack Allen explaind to a group of concerned parents how the ratings are assigned and what the numbers behind Sunset's rating mean. As the only school in the Moffat County School District with a priority improvement rating from the state, Sunset Elementary School’s School Accountability Committee meeting Tuesday night included participation from concerned parents. Principal Zack Allen attempted to assuage those concerns by explaining how ratings are assigned and the numbers behind them. Schools are assigned a rating based on points earned in performance indicator areas. The total number of points earned out of a possible 100 is converted to a percentage and then assigned a rating and plan. The four ratings possible starting from the highest are performance, at or above 60 percent; improvement, 47 percent to 59.9 percent; priority improvement, 33 percent to 46.9 percent; and turnaround, less than 33 percent. With a score of 45.1 percent, Sunset fell just in the priority improvement range. The three areas available to earn points were academic achievement, academic growth and academic growth gaps. Allen explained achievement as the percentage of students who scored at proficient or advanced on TCAP, with a possible 25 points and 25 percent of the score. Allen said that many students fall right on the line of low proficient and high partially proficient. Allen said last year’s scores had many of those students land on the low proficient side making scores look better, whereas this year saw the large group fall on the high partially proficient. He explained academic growth as the median student growth percentile on TCAP scores in reading, math and writing, with no growth percentile for third grade as they have nothing to compare to. Worth 50 points and 50 percent of the score, academic growth was the largest scoring area. Allen explained growth to parents as something that wasn’t judged on highest scores. Basing his example on arbitrary numbers, Allen explained that although a student may have a score of 400 one year and jump to 415 next year, their growth might be lower than a student who went from 310 to 350. Although a lower performance, the second student experienced higher growth. The last indicator area is academic growth gaps, which Allen explained are still a measure of student growth percentiles, but one that takes into account the student population, including factors such as ethnicity and those on free and reduced-cost lunches. This section was worth 25 points and 25 percent. After thoroughly breaking down and explaining their rating, parents said they understood but were still worried and curious about what the rating meant for the school and how it would be remedied. Allen explained the rating required the school develop a priority improvement plan to be implemented over the next five years starting next July. If the school doesn’t see improvement in five years, the district or government either restructures or closes the school. However, Allen said the school has the opportunity to be taken off priority improvement as soon as the following year if scores go up. Allen presented parents with Sunset’s Unified Improvement Plan under three major improvement strategies. One, use research based and innovative teaching that engage all learners and yields high achievement growth for all. Allen said this means looking for improvements for everyone rather than operating on a deficiency model. Two, teachers need to know, understand and teach to the most current Colorado Core Content Standards in Literacy and Math. Allen explained this as aligning curriculum with new state standards. Including their new curriculum, understanding by design. He said the new curriculum would support student learning by project based or inquiry learning, with more of a focus on learning through questioning and understanding versus the traditional model of the teacher solely imparting knowledge. Third, utilize a systematic program of interventions for students not proficient on grade level standards. Allen said this had been a difficult area what with a high turnover at the Special Ed teacher position and no literacy coordinator prior to last year. He said the school spent the summer investing in training both positions as well as intervention programs and said he feels confident in those areas moving forward. After opening up the floor to comments and suggestions, parents said they would like to see more communication between parents and teachers regarding student progress, as well as more goal oriented learning to move out of the priority improvement range.